I don’t think you get much simpler than this. I was looking for something simple to use ingredients we had rather than having to go out and buy a load of stuff. This was literally just pasta with some garlic purée and some grated parmesan stirred in…and it was DELISH! Hi Bangkok is fast becoming a favourite of ours with the convenience of JustEat! Couldn’t fault this dish! I just fancied getting us some mackerel today so I came across this recipe for a yummy gratin. 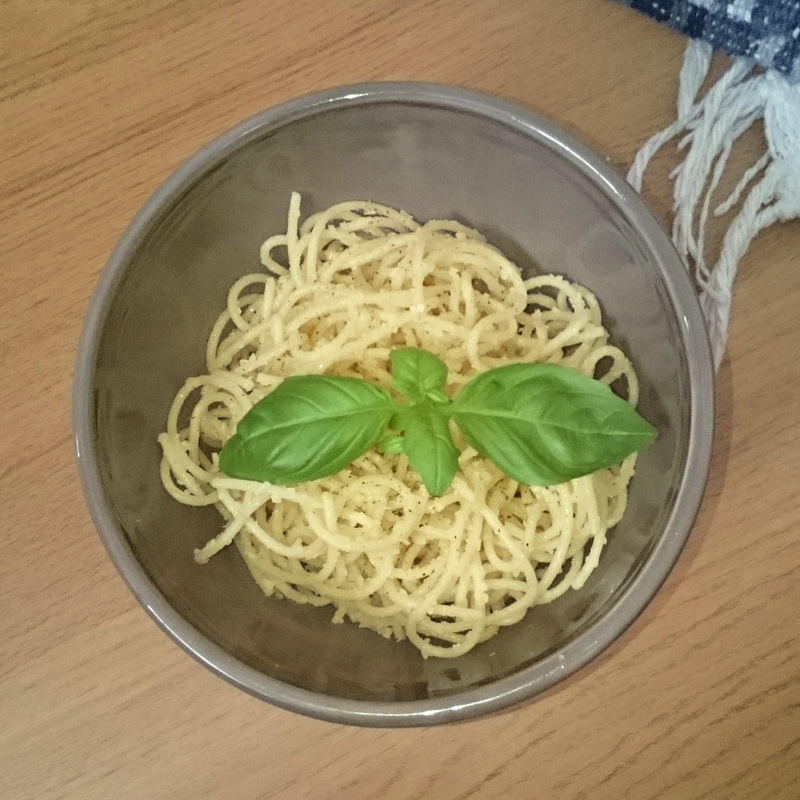 It was simple to make and delicious to eat! I sometimes worry that mackerel will overpower a dish, but it worked perfectly here. I came across this recipe to use up the rest of the mackerel and it looked super simple which is usually what I’m after. 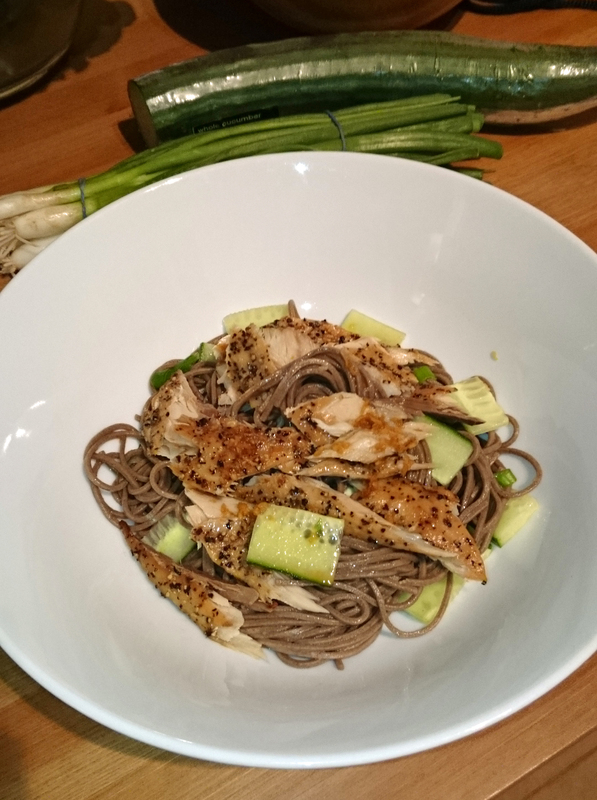 I swapped out the rice noodles in favour of soba noodles as we had some in. Another good way to use mackerel and the refreshing flavour of the cucumber perfectly complemented the strong flavour of the mackerel. 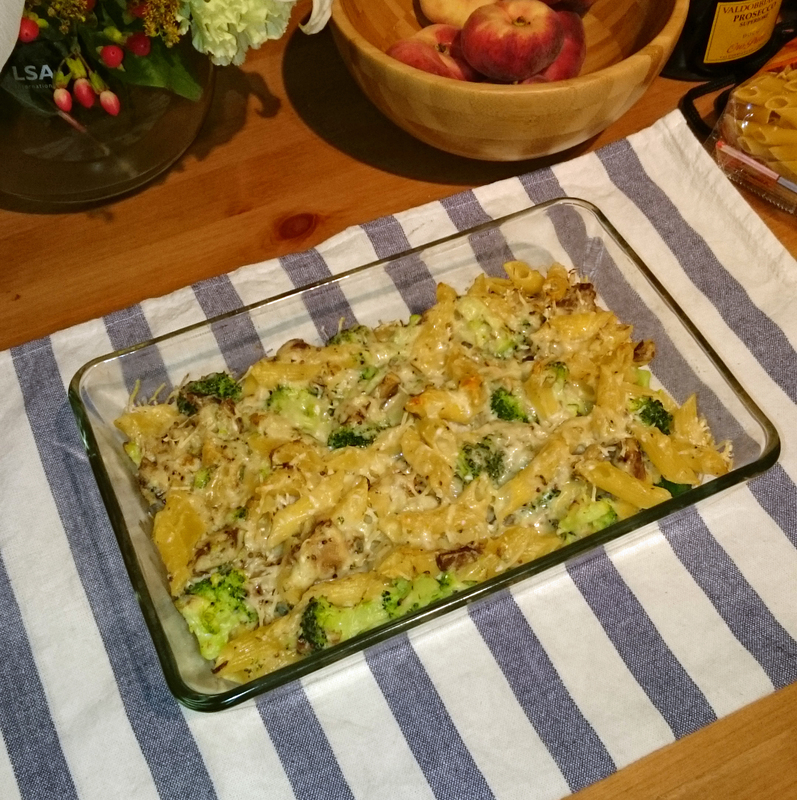 A quick browse of Pinterest led me to this recipe and I thought it would be a great way to use some broccoli without taking a long time to make. 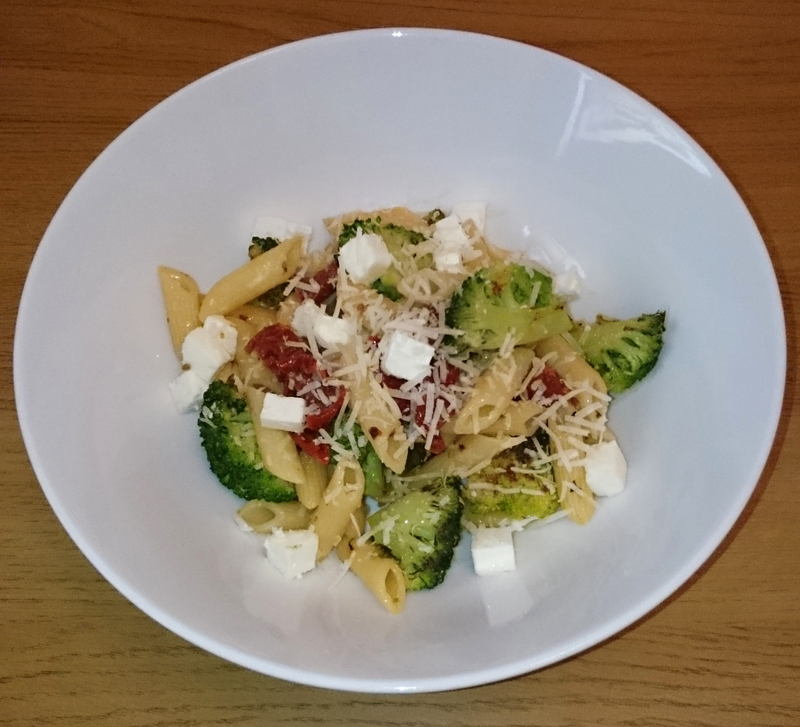 Another simple and tasty dish to keep in the bag for weeknight dinners. 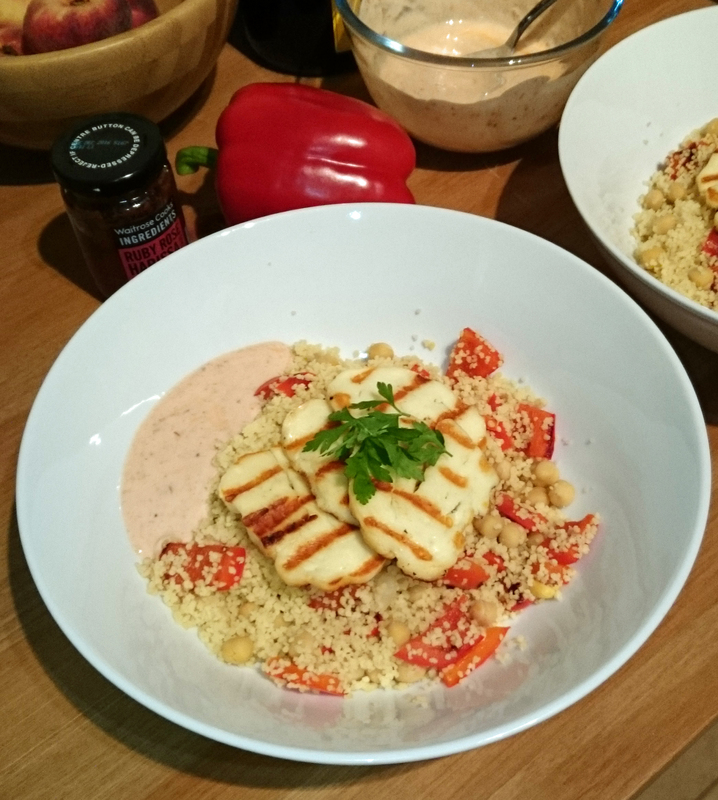 Mark found this recipe for a quick summer salad and it met up to that description pretty well. I always like to find easy things to make with harissa as I hate using it for one recipe and then having half a jar to use up. We were on the way to Nottingham to visit my family and stopped on the way at a service stop to get some food. 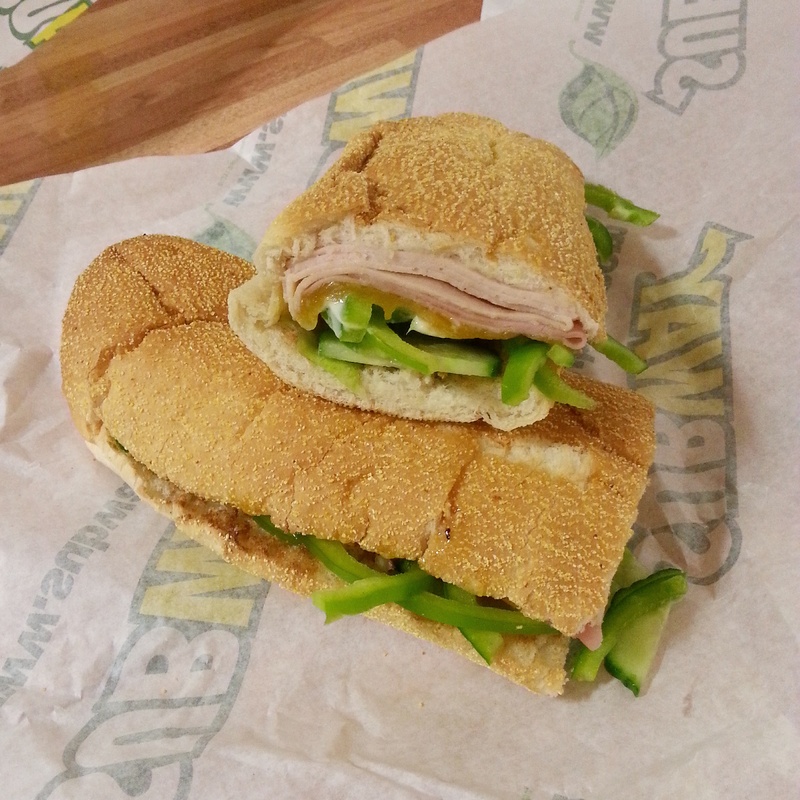 We were travelling pretty late so a lot of places were closed, but eventually we found a Subway and ordered a turkey and ham sub with salad, extra cheese, and I had some sweet onion sauce on my half. As Mark and I were visiting my family, we thought it would be best if we cooked one of our dinners so that they didn’t need to worry about cooking us new things for our project. 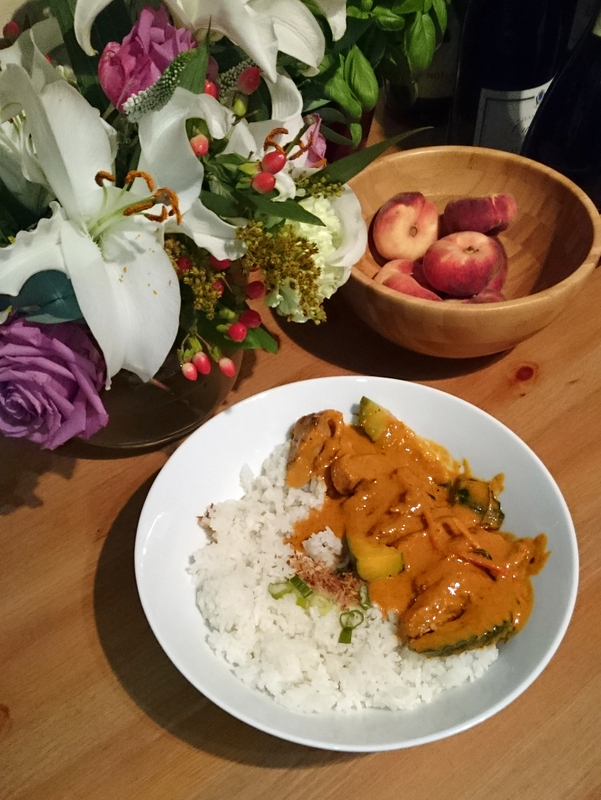 I found this recipe and it seemed simple enough with a good amount of flavour. It was actually the first time I’ve used smoked paprika and oh my goodness I need to use it more! The smell coming from the pan was just divine and the end result was so tasty! I pushed the boat out with the pappardelle too as we were cooking for other people. I think it went down pretty well with the family and I certainly really enjoyed it. 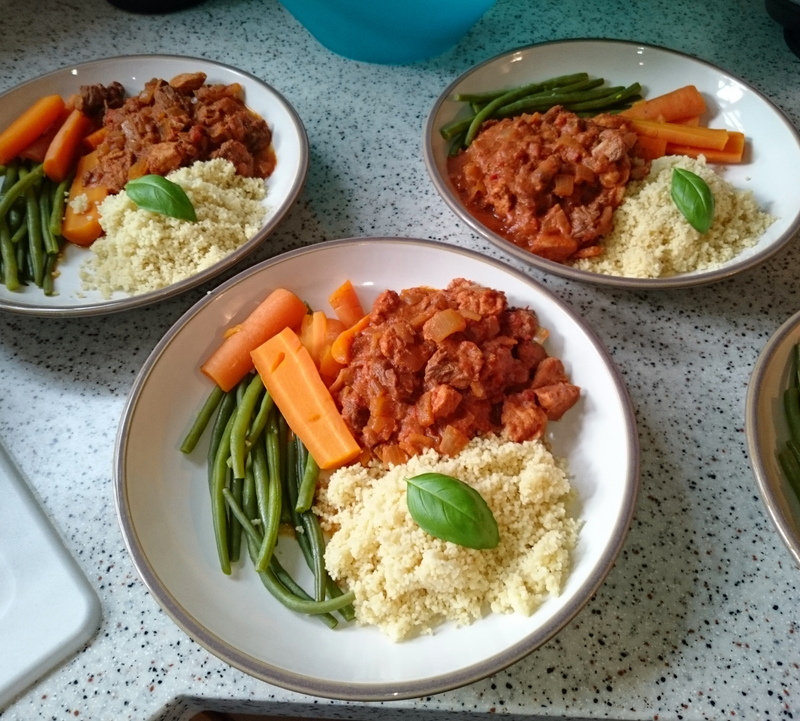 I didn’t know when I planned yesterday’s dinner that Mum was planning to make a two-meat goulash with cous cous. It did mean though that she had some of the ingredients we needed – bonus! 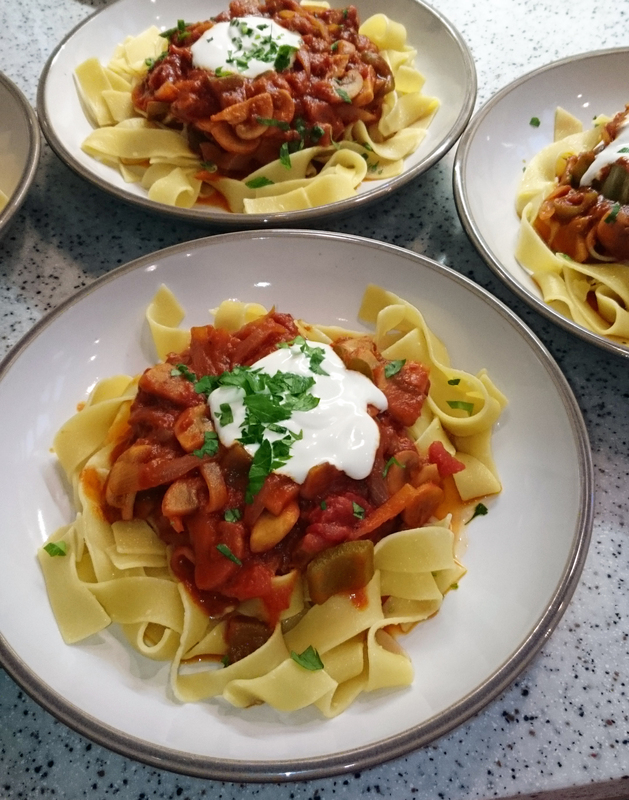 Very enjoyable dish – goulash is always a winner! < Previous 30 weeks done!